The SCROG method is very effective technique for improve the quality of the plant. 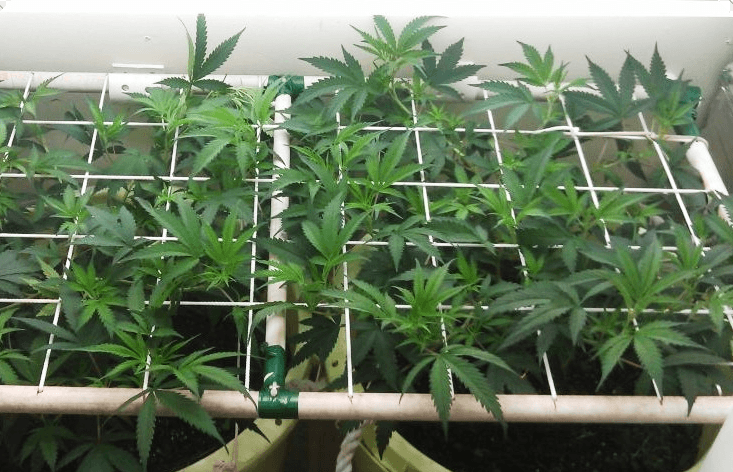 SCROG method has become widely used amongst agronomists because it is known that allows you to use space as efficiently as possible, while getting a better final product than with other methods. Even though it works great outdoors, it is mostly used indoors, where it is more common to plant flower and medicinal plants, which are the ones that take advantage of all the qualities of the method and adapt better to it. SCROG plastic netting is installed when the stalk of the plant reaches the necessary height to start sprouting stems, that is to say, about 12 to 20 inches tall (30 to 50 cm), that depends of the type of plant. 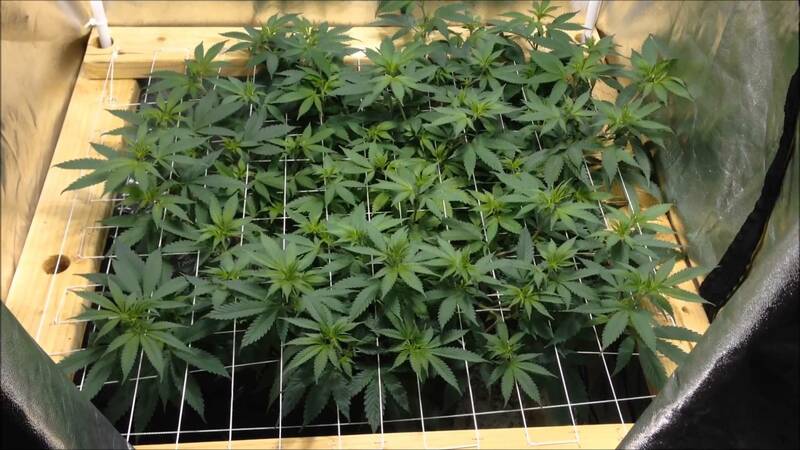 It is vital to place the SCROG plastic netting in the right stage of the plant and at the exact need height, because if it is placed too high the bush would waste too much energy by reaching to the net, but if it is placed too low, it would harm new stems. The net is placed horizontally to train plants to grow this way, when actually they would grow vertically. A single plant can need about 12 inches2 of mesh to develop properly, but this also will depend of the type of plant. But these meshes are not only to train the plant; after stems start to germinate from the stalk, they have to be “tracked”, what makes the plant get leafier by having more stems than it would usually have. This is when the training mesh becomes also a tutoring mesh, supporting the plant as it grows. To hold even better stems to the SCROG plastic netting you can use adjustable and reusable HORTOCLIPS. Flowering stage must only be started when the net is 90% full. Besides wire or raffia twine, SCROG plastic netting is safe for your plants. 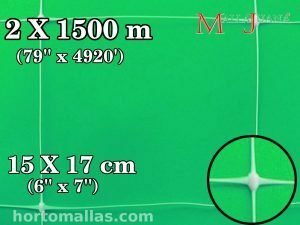 MALLAJUANA nylon netting has the best quality and it is made to last long; it is easy to cut, install and is specially designed to be used for this tutoring system. The MALLAJUANA are a better option than the raffia for apply the Scrog method. The squares of the netting are the ideal size to manipulate the plant through the process and its flexibility helps staff to harm the product as less as possible, preventing future infections due to mechanical stress of the plant. Further, other infections caused by pathogens that are mostly lodged in organic threads or in the ground can be avoided more effectively. This is so because SCROG plastic netting, being inorganic, does not support the proliferation of bacteria; also, because it keeps the stems separated between each other and, at the same time, away from the ground. The fact that the stems are distant between each other eases tasks like fumigation, and also makes this one less usual by providing the plating with adequate ventilation, which helps to prevent other infections caused due to humidity. 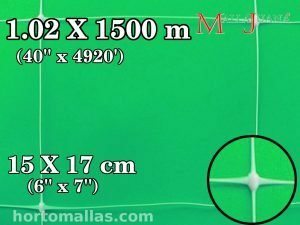 In summary, there are many advantages that MALLAJUANA offers, but to obtain the best results it is important to make every step in the correct plant stage, and this is what will dictate the increase of the production.